Margaret works in acrylic on canvas. She was born in Edmonton, Alberta, and is from Victoria, BC. 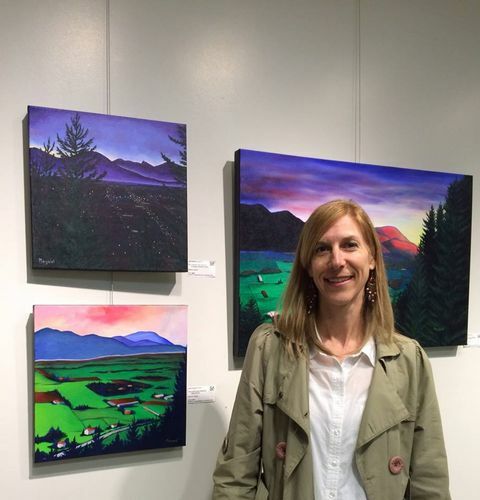 Margaret studied visual art at the University of Victoria, and works in the field of communications in Victoria. She studied under Pat Martin Bates, Robert Youds and Doug Morton. 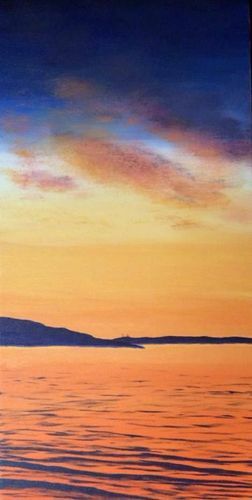 A painter of sky, light, and epic landscape, Margaret thinks that art should help people consider concepts in a new way, and point out ideas and philosophies. 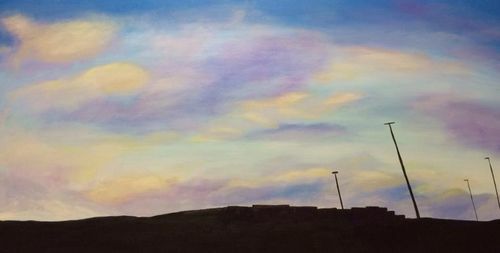 Time spent with family is a theme of much of her art, showing that there is beauty amidst conflict, in the beautiful landscapes of family camping trips, social events and summer holidays. The Retail / Paradise series positions the wild beauty of Victoria's western communities as development, civilization and big box stores move in. Gorgeous sunset illuminated the clouds... the trees... the development. 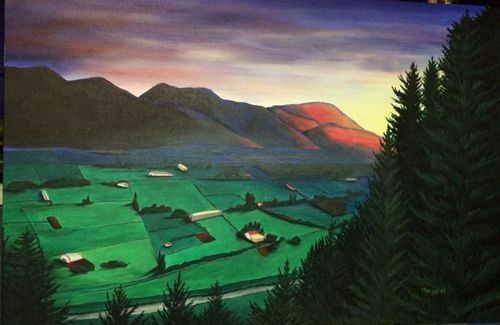 The Chilliwack Valley series was a result of a trip to visit family who live on Chilliwack mountain. The beauty of the farms, streets and development in valley below is obscured by and surrounded by nature at sunrise and sunset, pivotal points in our day. It's Been Years (Since It's Been Clear)... here comes the sun, captures a stunning sunrise at Cattle Point, Oak Bay, BC. The contrasting colors, light and shadow was riveting and provides a moment of rest before the day began. The turbulence, a young family member, is strong, willful and compelling. Her guardian must be patient yet firm. 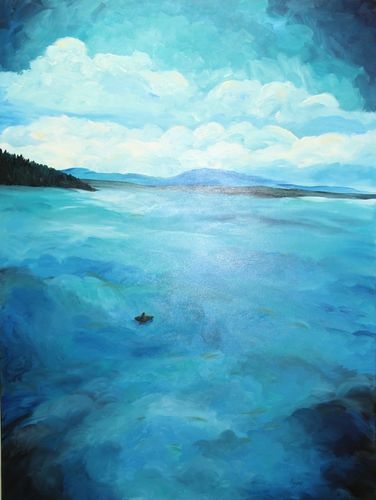 Surrounded by the dramatic beauty of Gabriola Island, family drama is just part of the scene.